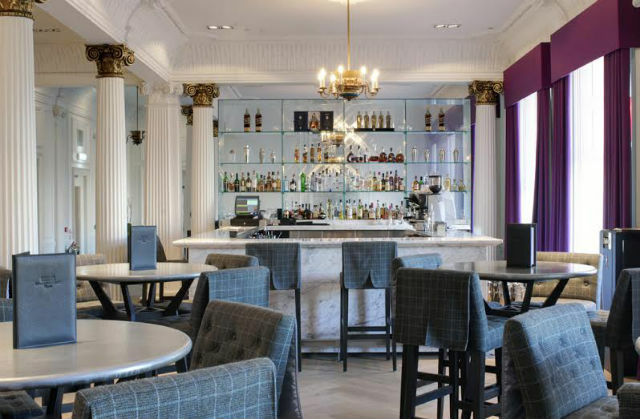 Glasgow might have a reputation as a party city, always up for a good time and it certainly does have it’s fair share of great cocktail bars, but one thing it keeps up its sleeve is it’s fine selection of afternoon tea spots. This quintessentially British past time is a great alternative to the usual boozy lunch with friends or a perfect opportunity to treat a loved one during a full day of shopping in the city centre. We’ve tried and tested the best tea and cake in the city to uncover the ultimate in Afternoon Tea experiences, so read on and tell us if you agree! To indulge in an afternoon tea in one of the most luxurious spots in Glasgow, Blythswood Square is an essential place to visit. This boutique hotel is best known for its spa and beautiful rooms, but its restaurant and bar are also a highlight. Head to the Salon on the first floor for afternoon tea and choose between the standard cream tea, the Duchess of Bedford Afternoon Tea, the Tea Tox Afternoon Tea or the Tasty Scotland Afternoon Tea. Each starts with an selection of teas that visitors can choose from, the menu ranges from the scones and clotted cream that we all know and love to more unusual bites like sugar-free carrot cake, chocolate and caramel eclairs and fine Scottish cheeses. This hidden gem is nestled amongst the vibrant and colourful artist studios on Hidden Lane and although it is difficult to find, the search is worth it! In addition to the delicious home-made pancakes and soups, Hidden Lane Tearooms are known for their incredible Afternoon Teas too. With over 30 loose leaf teas and secret recipe scones served up in a mismatch of vintage crockery and teapots, this small but perfectly formed tearoom is popular with locals in the know. 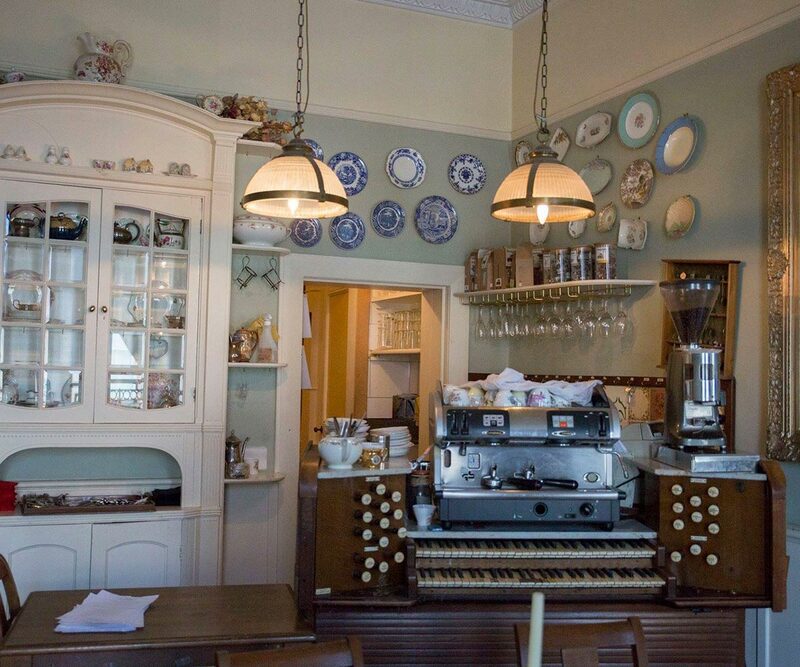 The vintage decor is borderline twee and space is hard to come by in this small space, but the eclectic decor, delicious cakes and focus on tea being served ‘the proper way’, for those who love a girly, traditional afternoon tea experience, Hidden Lane Tearooms are perfect! With over 16 different cupcake options (plus daily specials) and 42 speciality teas the Cup Tea Lounge Glasgow means business when it comes to Afternoon Tea. 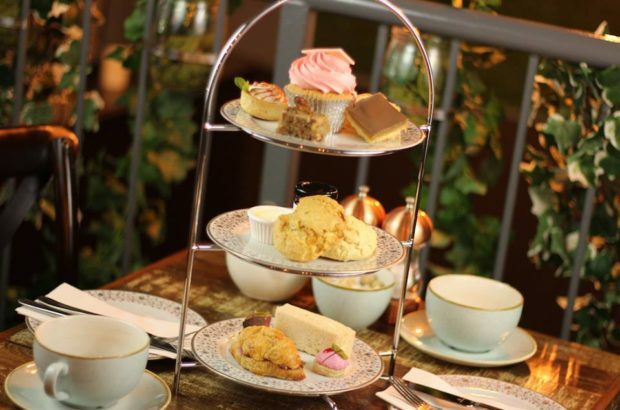 Located in a beautiful B-Listed Victorian building, this afternoon tea serves up well-loved classics as well as creative contemporary flavours – peach milkshake cupcake anyone? All teas are blended in small batches by Cup’s Tea using an artisan process without machines meaning only the highest quality tea is served. The room itself is something to marvel at too with the original coloured wall tiles and floor panels still in tact, paired with opulent light fixtures and luxe soft furnishings, this tearoom gives us sophisticated wine bar vibes and is the perfect place for a special occasion. Located near St Judes on Bath Street in the heart of Glasgow, the Butterfly and the Pig is a whimsical twist on the traditional teahouse. Through the use of interesting ingredients and unconventional presentations, they manage to inject some light-hearted humour into this traditional afternoon ritual. The afternoon tea itself is a full meal that will fill up even the hungriest diners, and it starts with regional salmon, sandwiches and hearty oatcakes. After the savory items come the delicious sweet treats, and there is even the option of enjoying your afternoon tea with a glass of Prosecco or Moet for a slight surcharge. 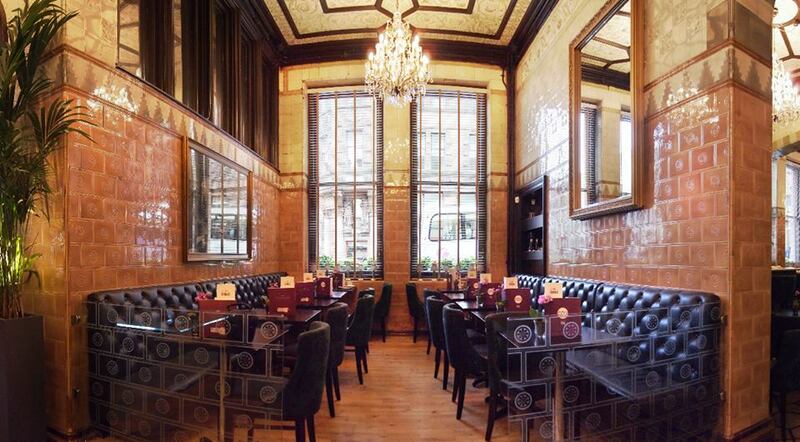 The most historic of the many tearooms located in Glasgow. It was designed in 1904, during the temperance movement, when there was a local push to create beautiful spaces to enjoy tea rather than alcohol. Constructed under the eye of architect Charles Rennie Mackintosh, the Willow Tea Room is perhaps the best known tearoom among historians, and the restoration process to get it to its original style was extensive. The menu boasts the traditional three-tiered cake tray full of baked treats and sandwiches, but the chefs are more than happy to accommodate any dietary requests such as vegan offerings or gluten-free pastries as long as they receive advance notice. For luxury touches, head to the Grand Central Hotel attached to central station. This hotel has played host to everyone from the Queen to Frank Sinatra. One of the highlights of staying at the hotel is the opportunity to visit Champagne Central, a remarkable champagne bar, for their afternoon tea special. Try updated favourites like a whiskey-soaked sultana scone or filled macaroons, and round out the meal with either a rose-infused tea or a rose champagne.